test-project and test-project-location get defined in the local.properties file. The ant task library you wil be using to enable the if task is ant-contrib. One of my complaints has been that the underlying platform. 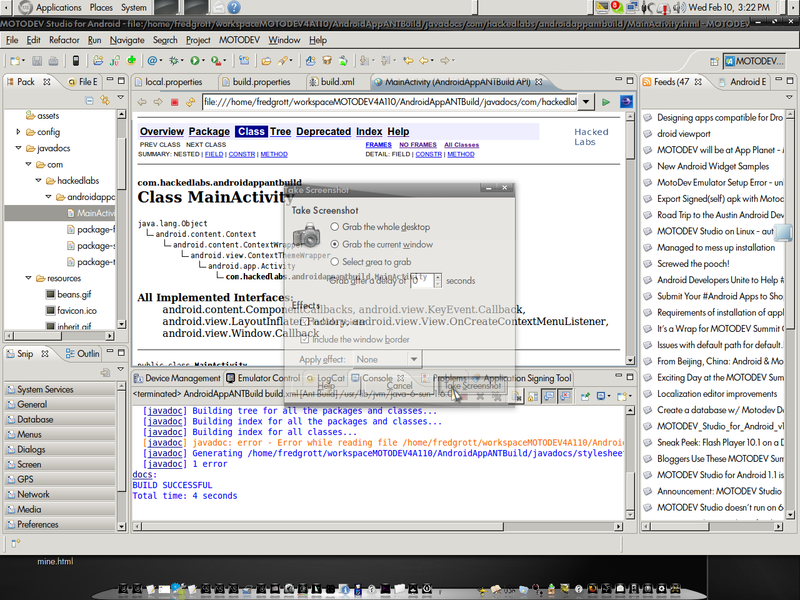 Eclipse 3.4, uses ANT 1.0 which has a major bug. 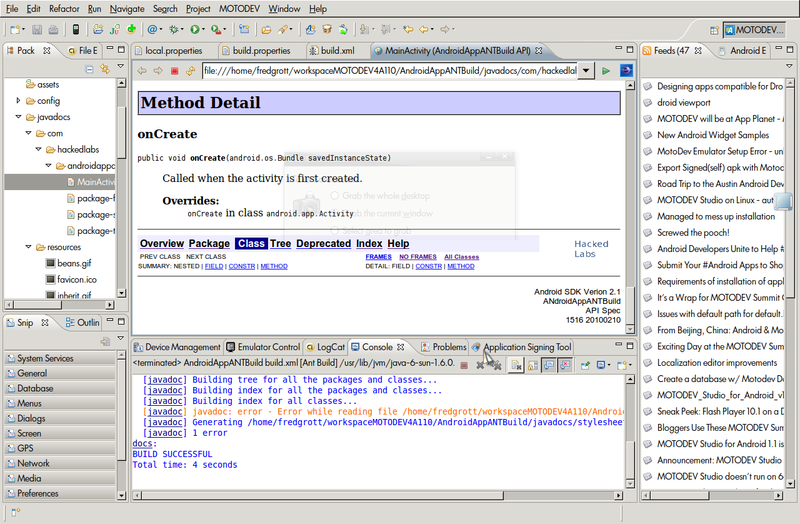 Unzip this into your plugins folder and take out the ANT 1.0 plugin folder in your MotoDEvVStudio for Android install. Now when you do soem tasks like declare the task library for JDepend it will be able to pick up the configuration file whereas with ANT 1.7 it was not due to a bug. The release.production target is just the apkbuilder task and you have set to signed not true so that the apk does not get signed witht the debug key. Remember, we do not have a clear standard way of indicating Android application versions so I name the dist folder by date/time in preparation to indicate the version in some other ways. You may chose to do something very different.